Quality A-frame for exposition of 2 posters. Snap frames for easy change of printings. PCV film to secure posters included. Most popular advertising stand. 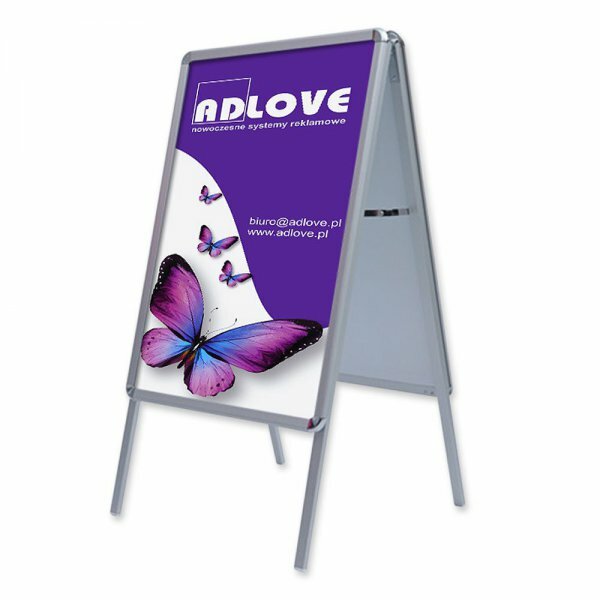 Made of 2 snap frames simple exposition and easy change of posters covered by protecting PCV film.